Our super-convenient, ready-to-drink shake is packed with massive 50g of protein per bottle, while being sugar-free and fat-free — supporting all your fitness goals. 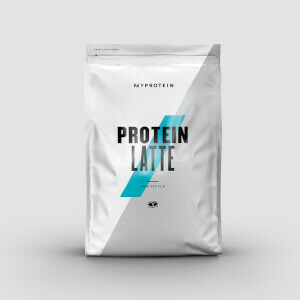 It’s a super-convenient source of high-quality protein, which helps grow and maintain important muscle1 — and with just 0.5g of fat, 0.9g of carbs, and only 51 calories per 100ml, it’s important whether you’re trying to gain muscle, tone-up, or lose weight. It also includes the essential amino acids, including 4.5g of leucine — which naturally occur in protein and help to build and repair new muscle,1 before, during, and after workouts — helping you to be your best, session after session. When to enjoy Protein Shake Zero? Anytime you need a sweet protein hit! Simply shake well before opening and enjoy straight from the bottle. And, if you can’t drink it all in one go, pop it back in the fridge until you’re ready for the next protein-packed boost. What to enjoy Protein Shake Zero with? Protein Shake Zero provides a super-convenient boost of protein wherever you are. But if you’re looking for a tasty treat to curb sweet tooth cravings, try our Protein Wafers — with 60% less sugar and 20% less fat than supermarket alternatives, enjoy a protein-packed snack without ruining your hard work. Store in a cool, dry place out of direct sunlight. Once opened, keep refrigerated and consume within 24 hours. Chocolate Flavour: Water, Milk Protein (10.5%), Fat Reduced Cocoa Powder (2.2%), Flavourings (Flavourings, Cocoa Powder, Lactose [Milk]), Whey Protein Concentrate (Milk) (0.5%), Buttermilk powder (0.5%), Sweetener (Sucralose), Acidity Regulator (Dipotassium Phosphate), Thickener (Carrageenan). Strawberry Flavour: Water, Milk Protein (10.5%), Flavourings, Whey Protein Concentrate (Milk) (3%), Buttermilk powder (1%), Sweetener (Sucralose), Acidity Regulator (Dipotassium Phosphate), Thickener (Carrageenan), Colour (Cochineal). The nutritional information is based on the chocolate flavoured version, when choosing an alternative flavour the nutritional values may vary. 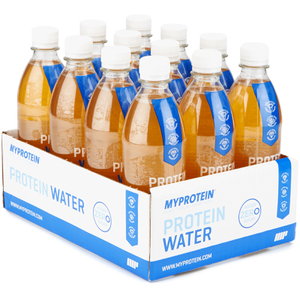 Sugar free, high protein chocolate flavour drink containing milk protein, whey protein concentrate and buttermilk with sweetener. Sugar free, high protein strawberry flavour drink containing milk protein, whey protein concentrate and buttermilk with sweetener. I normally get the original pro milk 50's but switched when I saw these are sugar free. I ordered both flavours and I must say they taste great. It is very Thick, but it needs to be to get the amount of protein in that this bad boy does. Great taste. Bought it at the gym when I forgot my protein shake at home. Disgusting taste Absolutely nasty Why not just take 2 scoops of protein powder and mix it with skimmed milk for a low fat drink? It will definitely taste better. I have been using Pro Milk 50 on a daily basis for the last 2 months, after great difficulty of finding the best all round protein product. I have to say the product is great tasting and is packed with protein goodness. I shall definitely order again and again, as long as the price stays right. 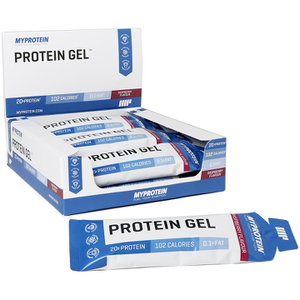 Great ready made protein product goes well with anything. I used to get the regular ones but now with no sugars to reduce my sugar intake. I'm so happy as it was the only con to the others. The sugar ones do taste better but that's only if you have them to compare, we all love sugar after all. They are still delicious regardless. I'd love more flavours, the vanilla was my favourite in the others. A walk home from the gym with a smile on your face :). These taste so nice, like a proper strawberry milkshake! Great to mix with porridge too if you're running low on protein powder, kills two birds with one stone by being the milk too. Quite filling if you are having as a snack and also good to take to the gym, I've had half after a spin class before heading into the gym and then the rest after my workout.